Family memories leave a lasting impression. Tap into this well of reminiscence! Help players open up with this 24" inflatable ball. Features questions, quotes and positive affirmations. Encourage the sharing of personal feelings and memories. Nothing leaves a deep and lasting impression like family memories. 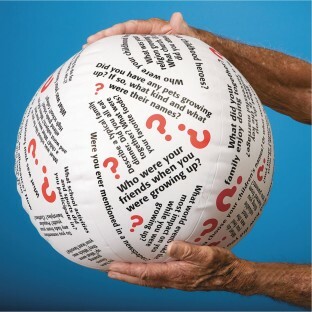 Tap into this well of reminiscence with our new conversation ball, featuring open-ended questions and discussion prompts like "Why did you choose your children's names?" and "Describe a typical family dinner." 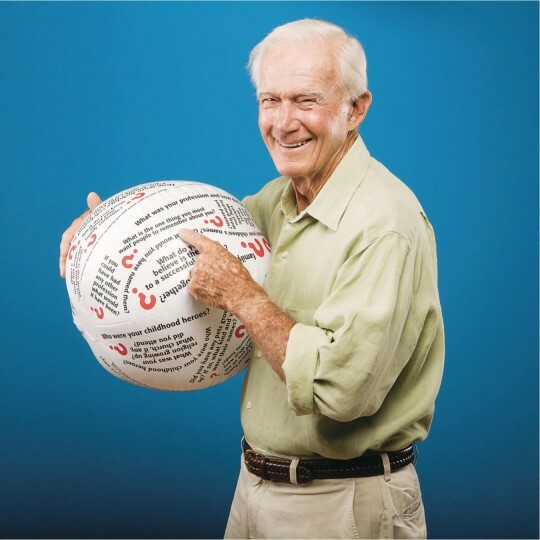 The 24" ball is perfect for one-on one sessions or group activities. Easily adapted for all age and functioning levels. Includes a handy activity sheet with ideas for play and a repair patch. I use this for my elderly patients to help them reminiscence. 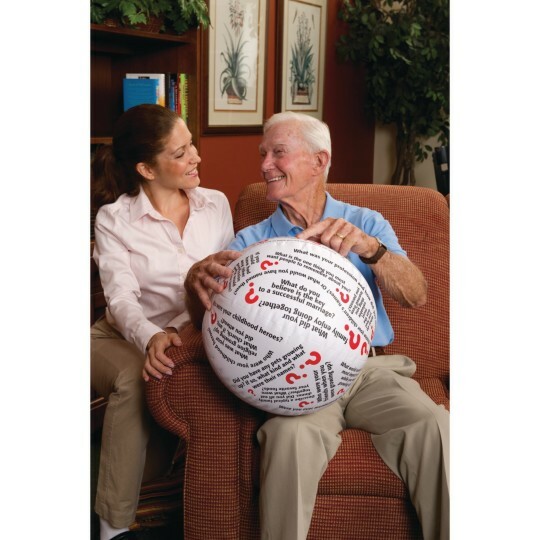 I use this product to help my patients with their hand eye coordination and I use it for reminiscence therapy. It lasts forever. Doesn't puncture easily and it's nice and big for them to catch. Great product! !